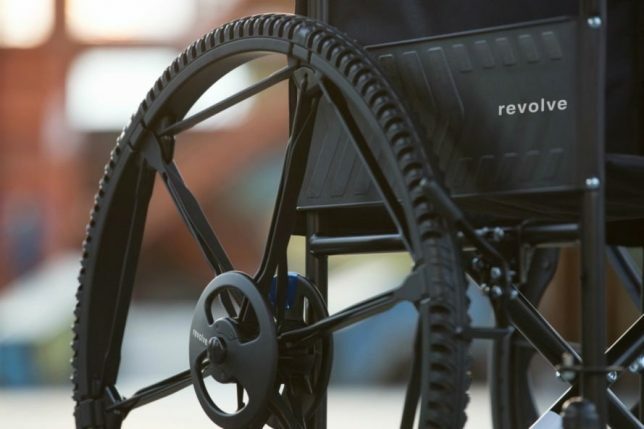 Airless, puncture-proof and compacting down to a 9-inch-wide package, the Revolve wheel makes it way easier to transport and store both bicycles and wheelchairs than ever before. 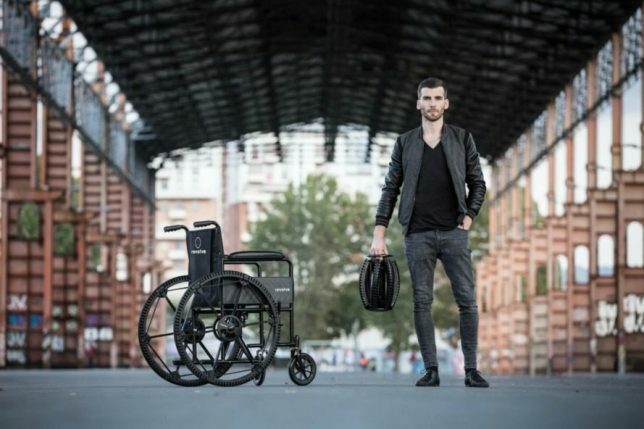 Aiming to be the world’s first modular wheel, this design enables you to open and close the wheel in a single motion, lock and unlock its position, and carry it around with ease. 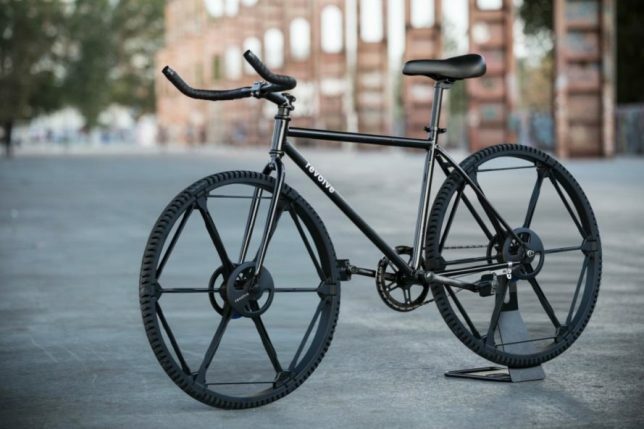 Designed by Andrea Mocellin, the six-pointed design is ideal for urban cyclists, and could play a pivotal role in the folding bikes of the future. With this design, there will be no more frustrating, greasy tire-changing pit-stops on the road, and keeping your bike more secure by toting the front wheel along with you is easier than ever. 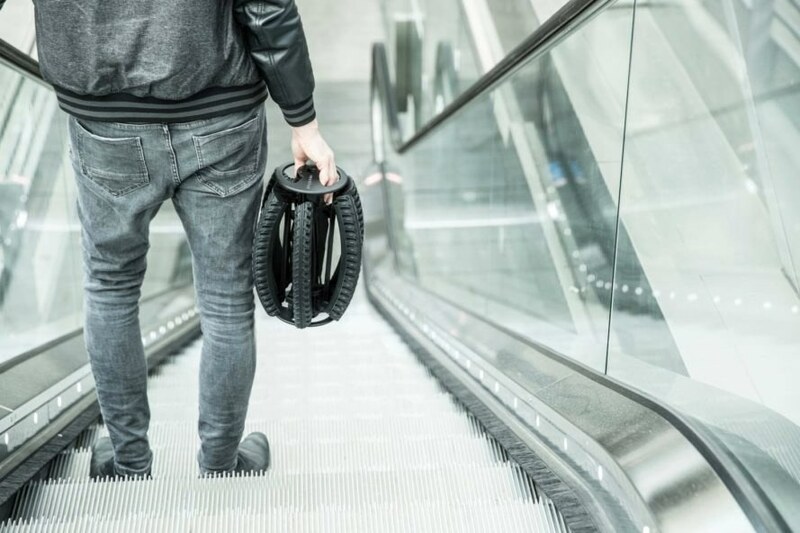 It’s designed to easily store in a backpack, inside a vehicle or in the overhead baggage hold on an airplane, and it’s compatible with most bikes and wheelchairs. When fully expanded, it’s the universal wheel size of 665mm. 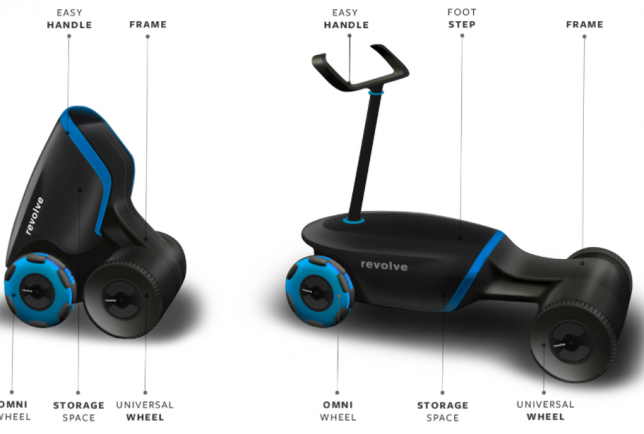 As an example, the designer presents a folding body concept that can be used in conjunction with the Revolve Wheel, folded up into a compact trolley or unfolded into a scooter with space for carrying bulky or heavy items. Mocellin also envisions it working for a surprising third use: “A total new experience can be evolve with the integration of Revolve. Robotics, land drones can easily be more usable thanks to large wheels and more possibility to approach all terrain. More than ten physical prototypes have been made, a patent is pending and it’s been tested on both bicycles and wheelchairs, so this is more than just another digital concept. 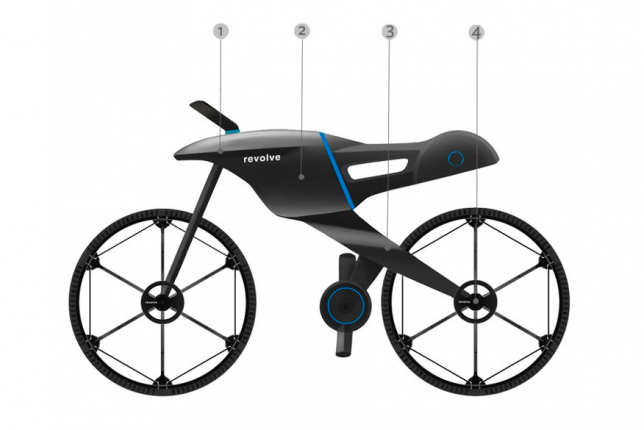 No news yet on commercial availability, but it will be interesting to see where the Revolve goes in the future.